The template gallery that Google Drive offers to users is one of the best places I often have recourse to to look for ready made templates to use in my work. 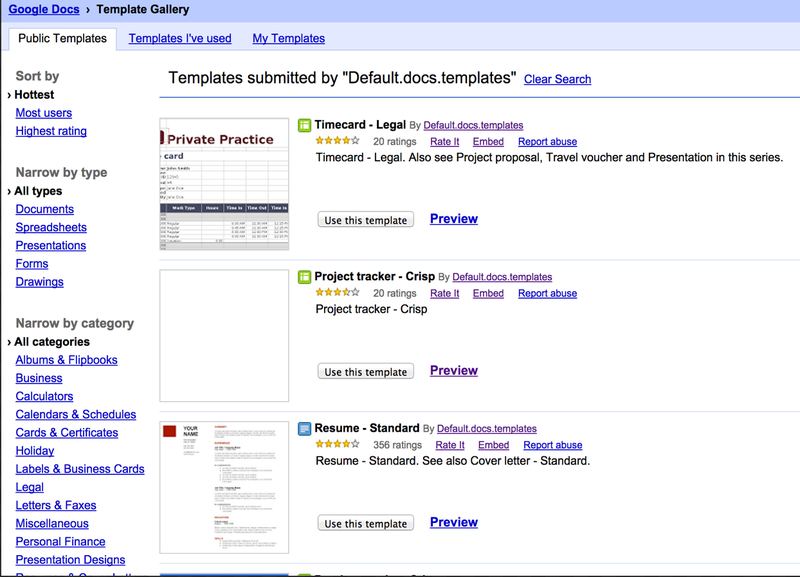 The gallery features a wide variety of templates pertaining to different topics from templates on albums and flipbooks to templates for resumes and cover letters. You can refine you search either by type or category. You can for instance conduct a search for only Spreadsheets or Presentations templates by clicking on " Sdpreadsheets" or "Presentations".You can also sort these templates by frequency of usage. And if it happens that you have made your own template on Google Drive and you want to share it with other users, you can submit it using the "submit a template" button on the top right hand side. The "Students and Teachers" section in this gallery features a plethora of useful templates that you can use in your class with your students. You can browse through the selection there and when you come across a template that you want to use just click on its title and then select " use this template". Here are 10 excellent ready made templates ideal for classroom inclusion. These templates have been selected by Susan Oxnevad and embedded in this interesting post. CLick on any title below to access and use the template.